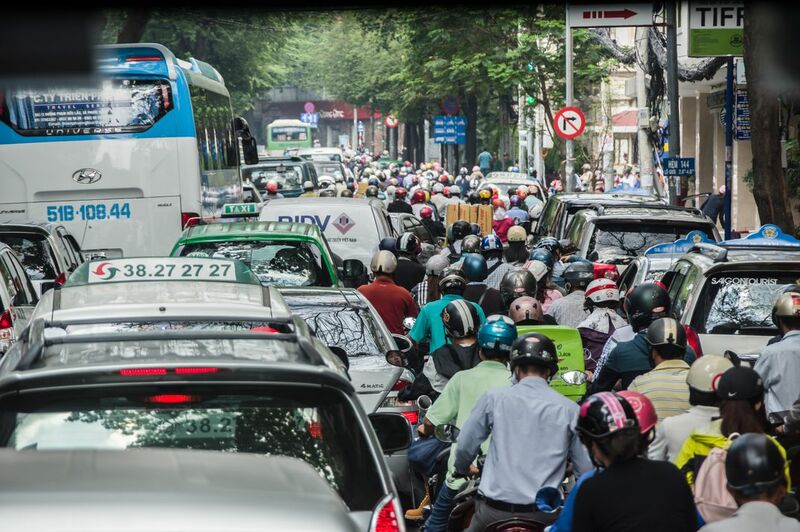 Rush hour in Saigon, Vietnam, gives a whole new meaning to gridlock. Cars, buses, scooters and motorcycles all crowd together on the narrow streets. Date Uploaded: Nov. 16, 2016, 7:06 p.m.